I’m looking to reconnect with any relatives of the Medine family from DeKalb County, Illinois! On this day, 97 years ago, my grandfather Edwin Drake was born. 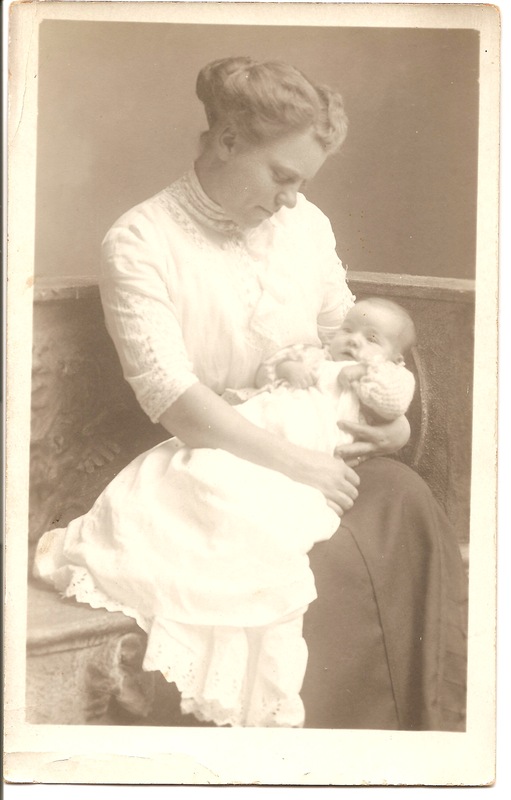 This precious photo is him as a baby with his mother, Emma (Medine) Drake. Emma holding Edwin as a baby. Source: Drake family photo. This semester I’m elated to be taking a course in Genealogy and Library Services. As part of the class, I’ll be focusing my research on the Medine family in Illinois. An introduction to their story is below. Our family has been researching our roots for over 15 years now, and most of our ancestral lines have been traced back to the immigrant ancestor. I’ve just started doing some research on our ancestors in the Old Country. Lately, I’ve been tracing the lives of my great-great grandfather, Gustaf Medine, his siblings, and his parents in Sweden and America. This has certainly been a puzzle!